THE Gisborne Singers are ending 2017 with a choral work which celebrates the beginning of the world. Haydn’s Creation, is a musical masterpiece which tell the story from the biblical perspective, particularly the book of Genesis. The dramatic three part work is a life affirming celebration which deservedly has formed an important part of the world’s choral repertoire since it was first performed. The music is dynamic and emotional while the text is as powerful and relevant as it was over 300 years ago. 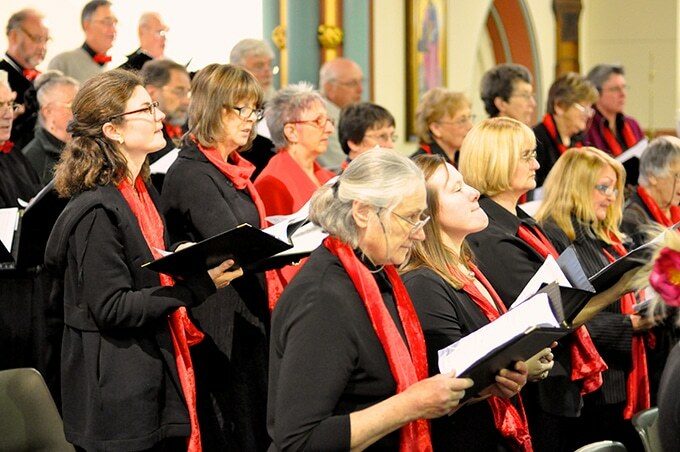 This Gisborne Singers have been performing the world’s great choral works for nearly 30 years. Music Director Stephen Brockman will conduct the choir of 50 singers. 2017 has been a busy year for the choir who began the year with their first international tour which included a performance at New York’s Carnegie Hall. The work will be performed in English and will be accompanied by a full orchestra with some of their favourite soloists; soprano, Cristina Russo, tenor, Christopher Roache and bass, Manfred Pohlenz. When Creation premiered at a small private performance in 1799, police had to hold back the hundreds of people who were trying to get in to hear the work.